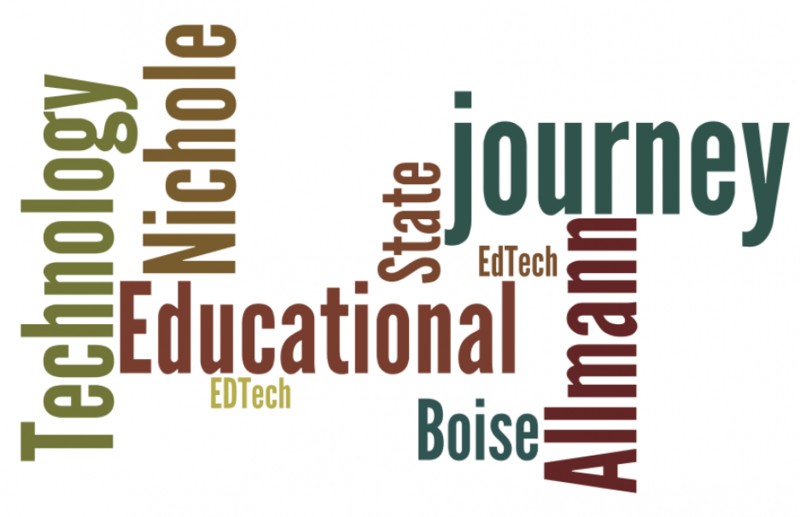 For the EDTECH Definition Graphic assignment, I choose Google Drawing because it allowed me to start my project from scratch and build as I developed my idea. The aspects of Google Drawing that I enjoy are the variety of tools to either free draw or insert already created objects. These objects vary in shapes and line designs. I am not an artist, but the tools make me more successful in that area. Once I finished my drawing, I changed the default color to a specific color that I wanted by using with fill tool or line tool. I labeled each part of my picture so people would better understand my interpretation of Educational Technology. While reading the required pages in Educational Technology: A Definition with Commentary, I understood the definition to be a topic that people continue to explore, such as the space theme I chose for my graphic. On the first page of the chapter, it was stated that the definition is temporary. The definition changes as technology, required skills, the goals and content change. 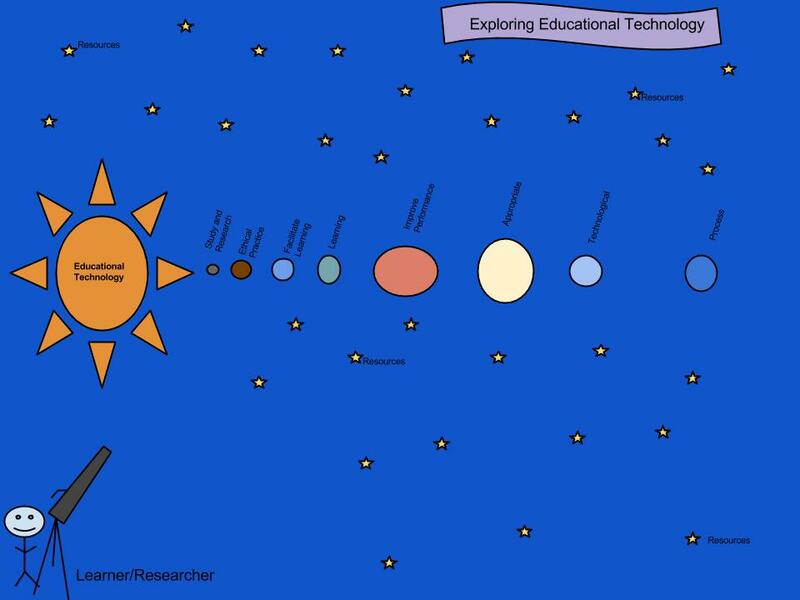 We have 1 big idea, that is educational technology (my sun) and there are many elements (my planets) that surround and define educational technology. Each element has its own unique characteristics revolves around the idea Educational Technology. As a learner (or researcher) of this topic, we continue to explore this concept because it does change, just like we learn more about space when astronauts travel there and carry out more research. The last idea in my graphic are the resources (stars). As teachers, we have unlimited resources to use. Some resources are “brighter” or better than others. Some resources fizzle out because they are old or are not compatible with the surroundings/equipment anymore. More resources are located and developed because new equipment/technology was introduced.